Here's another card created with my April Art Freckles Card Kit. 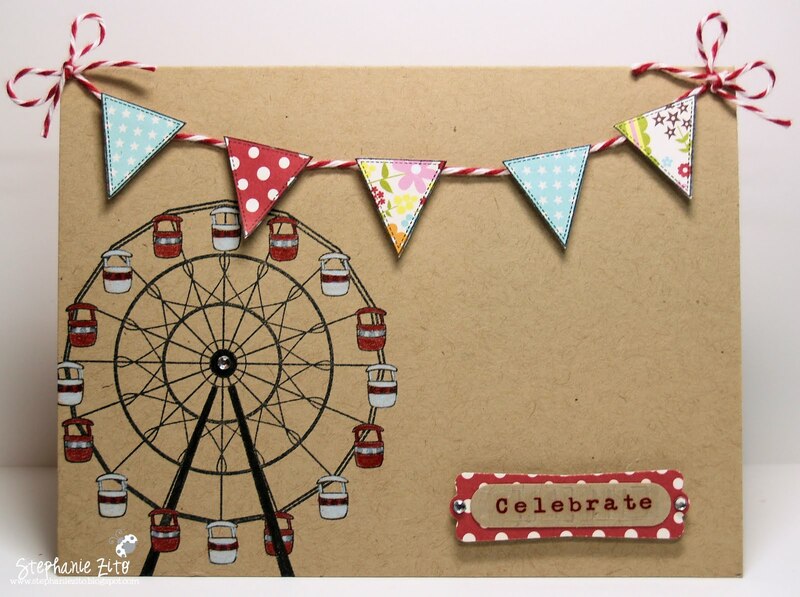 Products used: Unity Ferris Wheel SKOTM (Aug/09), Jillibean Soup dp, SU kraft cs, Memento ink, Maya Road Stamps, TPC Studio gems, SU punches, Twinery Twine, Cosmo Cricket Tiny Type alphas and Prisma Colouring Pencils. 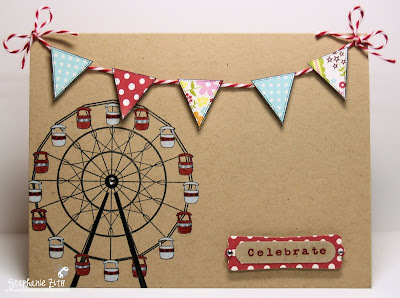 Inspiration for my card came from this week's challenge #64 at Paper Sundaes and challenge #51 at Wee Memories. Hi Stephanie! I LOVE this card! That ferris wheel is so cute! So is the banner! Fabulous card! Love the ferris wheel and your banner is really nice!! Thanks for playing with us at Paper Sundaes! I've never seen that ferris wheel...love it! Great banner too! Thanks for joining us at Wee Memories this week.